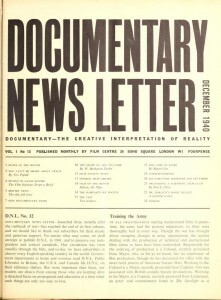 Founded by filmmaker John Grierson, Documentary News Letter effectively served as an in-house organ for the British documentary movement. As a wartime successor to Cinema Quarterly and World Film News, the journal sought to promote the ‘documentary approach to everyday living’ and published its first edition in January 1940. The initial editorial board comprised Grierson, Paul Rotha, Basil Wright, Arthur Elton and Thomas Baird. The journal was famously critical of the ‘inauthentic’ films of Humphrey Jennings, and also provided a strong, often-critical voice, of the British Government’s wartime output. 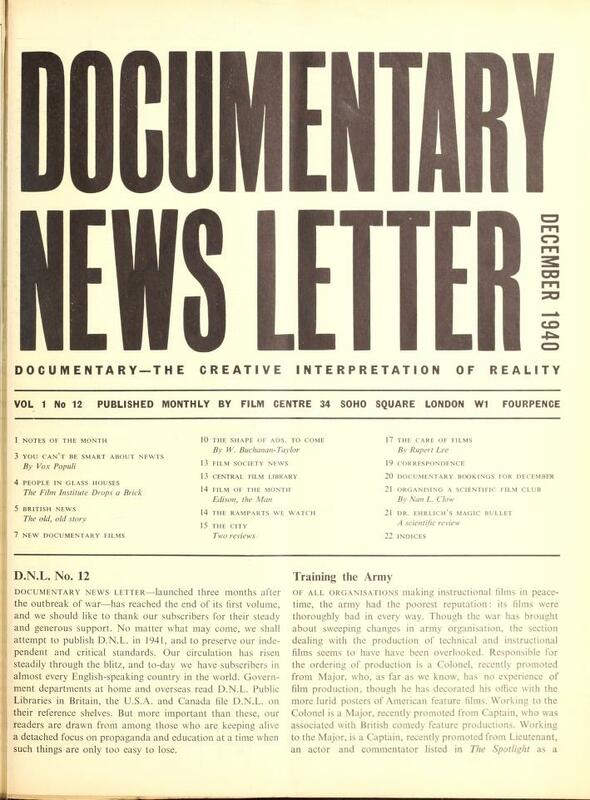 In January 1948, the journal became Documentary Film News, continuing for a further year.